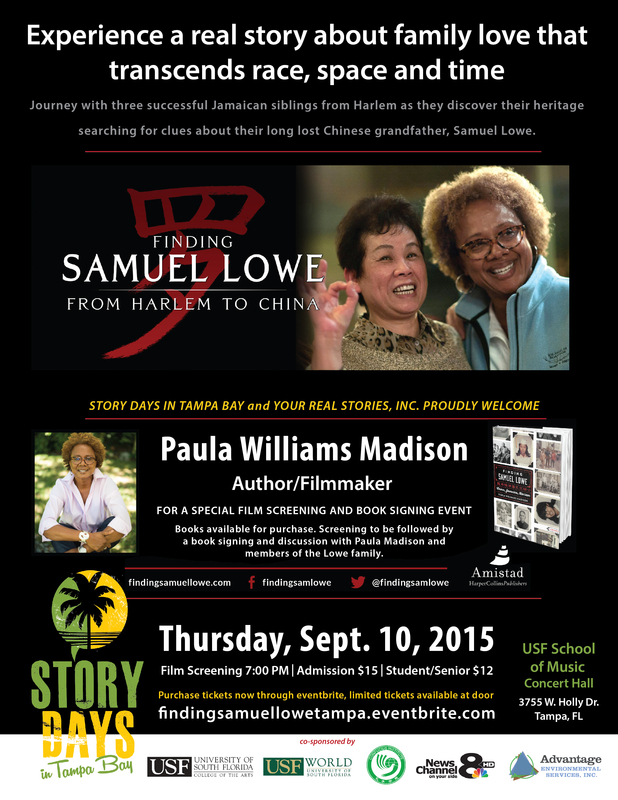 Jamaican-American journalist and filmmaker Paula Madison called her award-winning documentary Finding Samuel Lowe: From Harlem to China, “the fulfillment of a longing.” That longing was to find the relatives of her long lost Chinese grandfather, Samuel Lowe. We invite all of Tampa Bay to see the film and hear her talk about her amazing journey on Wednesday, September 9 at the Museum of Fine Arts, 255 Beach Drive in St Petersburg at 7:00pm and Thursday, September 10 at the USF School of Music Concert Hall, 3755 West Holly Drive at 7:00pm. Madison, who is a former NBC Universal executive, and her two brothers began their journey by putting the word out to Jamaican family and friends to help them. They were led to the Haka Conference in Toronto, to beautiful Jamaica, and then to China, where they united with hundreds of Chinese relatives they never imagined existed. 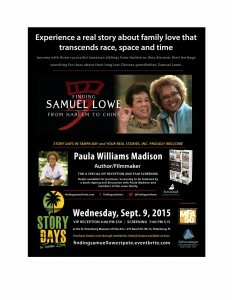 The showing of Finding Samuel Lowe is part of the Your Real Stories second annual Story Days in Tampa Bay storytelling festival. 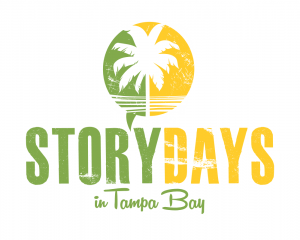 For five days, September 8-12, Story Days will have events around the Tampa Bay region. Stories will be read aloud, sung, danced, examined, exhibited in photographs, heard in poetry, slammed and seen in documentaries. The event is sponsored by Advantage Environmental Services, in partnership with the School of Theatre and Dance in the USF College of The Arts, the Confucius Institute, USF World, and News Channel 8 (NBC).